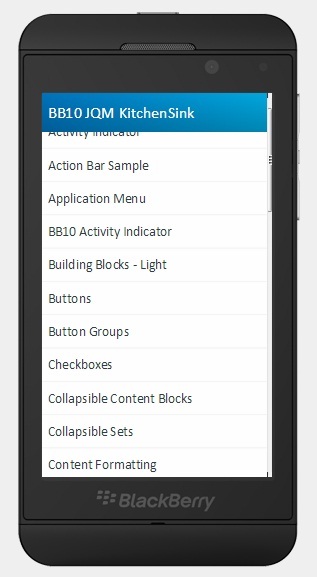 jQuery mobile is an awesome and mostly used framework for mobile application. So in this post, we have complied list of the 10+ Best and Free jQuery Mobile Themes for your mobile application. These themes covers design style from iOS, Android, BlackBerry, Metro Style for Window phones, Bootstrap, Flat UI, Square UI and Android Holo. Earlier I had posted about Writing your first jQuery Mobile app - Part 1 and series of articles on jQuery Mobile, collection of Awesome jQuery Mobile Plugins and about 5 jQuery Image Viewer Plugin for Mobile. The ThemeRoller Mobile tool makes it easy to create custom-designed themes for your mobile site or app. 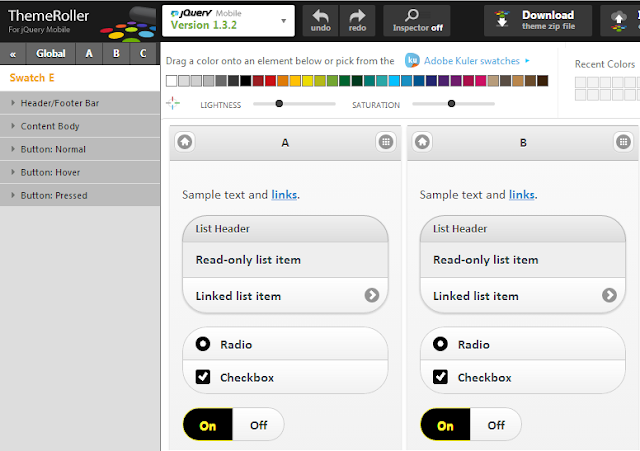 Just pick colors, then share your theme URL, or download the theme and drop it into your site. 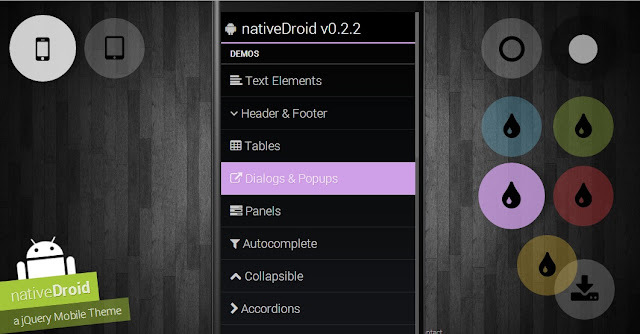 A beautiful and minimalist theme pack and generator for jQuery Mobile 1.3.1.
nativeDroid is a theme for jQuery Mobile inspired by the native HOLO-Style on Android Devices. It comes with 5 different colors combined with dark/light theme. 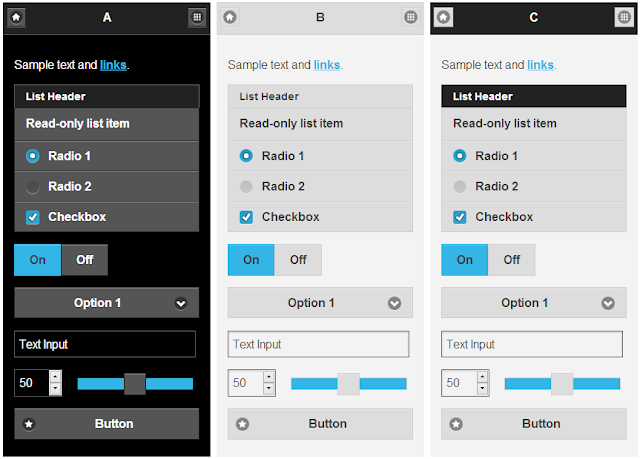 Theme for jQuery Mobile based on Flat-UI. This is an iOS inspired jQuery Mobile theme. The theme isn't an exact copy of Holo, but is inspired by it in terms of color scheme, fonts, and the corners for example. 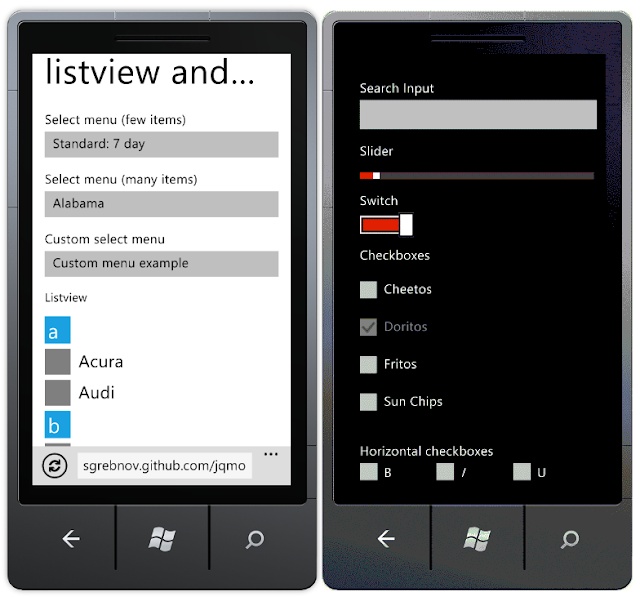 To make sure the theme can easily be ported to newer versions of jQuery Mobile, only the color's and font were changed. 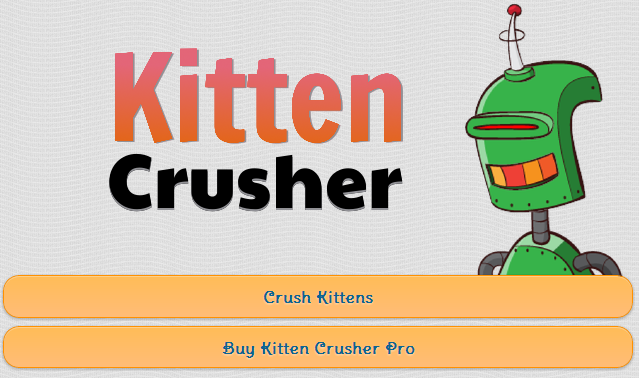 The font is, obviously, Roboto, and to be more precise, Roboto Regular and Roboto Thin. This is Blackberry inspired jQuery Mobile theme. 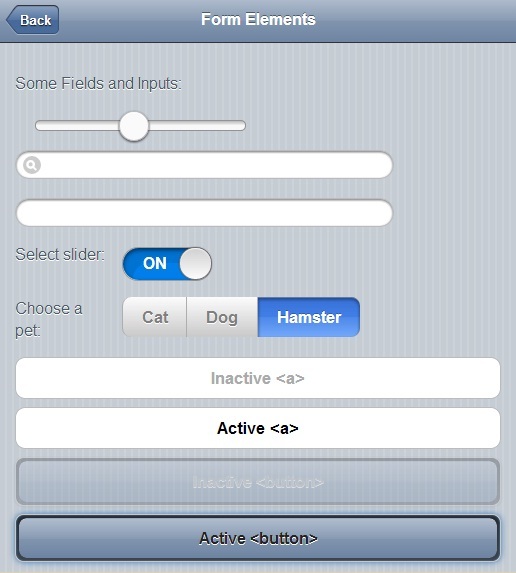 Theme for jQuery Mobile based on Square-UI. 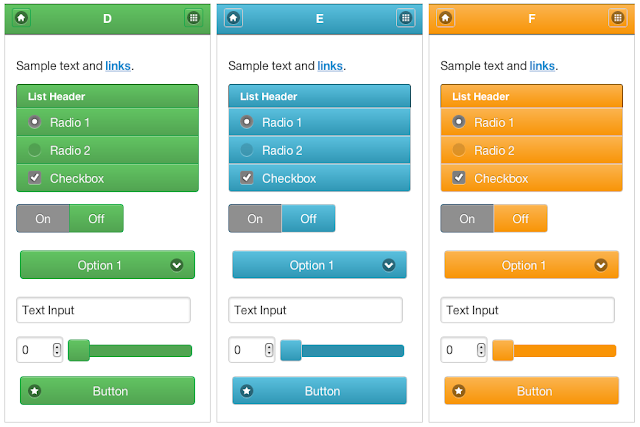 A jQuery Mobile theme based on Bootstrap. Use Mobjectify to generate quick mockups for your mobile design which you can save online for easy testing on any device with a browser.